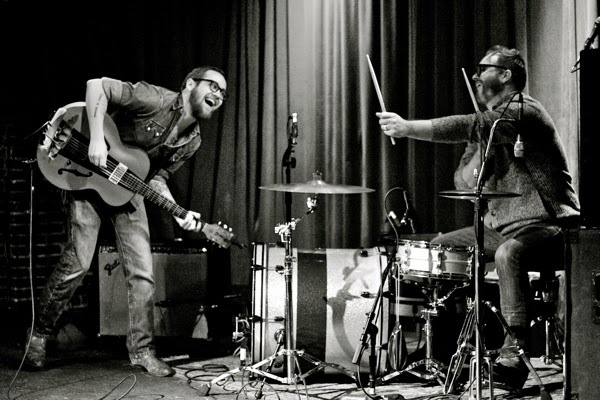 Water Valley, Mississippi's Water Liars have announced a US headlining tour in support of their self-titled third LP that will take them across the eastern half of the country throughout February and March. The dates begin on February 14th at Proud Larry's in Oxford, MS and continue through March 10th at The Basement in Nashville, TN, and include a February 26th New York show at the Mercury Lounge and a March 1st Brooklyn in-store at Rough Trade. A current itinerary is below. Recorded over three hometown studio sessions in late spring and summer 2013, Water Liars will be released on February 4, 2014 via Big Legal Mess/Fat Possum. The band premiered "I Want Blood," the first track released off the album, last month on The AV Club. Water Liars is also now available for pre-order as a CD and LP via the Fat Possum website: http://fatpossum.com/products/water-liars. "My sisters were the heavens / My brothers were the depths / Now I'm rolling into battle with a smoke between my lips," Justin Kinkel-Schuster sings on "I Want Blood," and it's a presiding image on Water Liars. Joined by GR Robinson on bass, and fresh off the success of sophomore albumWyoming and the reissue of debut LP Phantom Limb - both released this year - Kinkel-Schuster (vocals, guitar) and Andrew Bryant (drums, vocals) strut into this effort with their feathers out, driven by a need to create. Forget taking years to release a new album; Water Liars don't know how to stop working. A punk aesthetic - a desire not to overdo songs until they're shiny with emptiness - is the band's defining feature, and it's why their songs are filled with such raw sorrow. To call the songs here an improvement over what they've done before would be to sell the earlier work short: Wyoming, released in March, earned praise from The New York Times ("This duo's dark, lonely roots-minded indie rock is affecting, all the more for its sparseness"), Alternative Press, Penthouse, and All Music Guide, among others. Water Liars finds the band expanding on Wyoming's classic, soulful songwriting and warm yet heartsick expanse. The songs, written by Kinkel-Schuster and fleshed out with Bryant on the road, were tracked mostly live and exhibit diverse and divergent styles. Opener "Cannibal" sets the tone with resounding guitar and crash of drums; "Let It Breathe" offers a heartrending, haunting appeal of simply guitar and vocals, as bare as it is vulnerable; "Ray Charles Dream" is a blistering take on '50s rock/pop; and "Swannanoa" is poignant, rolling waltz. A study in contrasts, the album captures the stark dynamics of both Water Liars' live show - the restrained moments made all the softer by their roaring bookends - and their lyricism, all the while effortlessly towing the tenuous line of harsh and tender. For every lonesome ache, there's a hopeful promise; for every stumble into despair, a wide-eyed reach for life's wonder; for every broken heart, there's one patched back together. These are songs about leaving and staying, about lost fathers and new loves, about distance and memory.